Coach Rex Ryan said Friday that the Jets’ locker room situation isn’t “toxic.” He was responding to a report from SB Nation that made those claims. In the report, it claimed Ryan was trying to fire offensive coordinator Marty Mornhinweg. “I give no credibility to that story,” Ryan said on Friday, according to NFL.com. “I thought there were some other things in that story, the same one, that I thought were hilarious. The one about, I’ve already told you guys how I thought about how I was trying to stick it to John (Idzik), about that’s why we never threw the ball. Ryan said that the story originates from an outside reporter who doesn’t know the team. Mornhinweg also refuted the SB Nation report. “Rex and I are close. Everything we do is about getting better and figuring out a way to win football games,” he said. “I don’t think any of us have quit in this [locker] room. But it seems like those above us, they’ve quit on this season. You can’t do that. Players need to make a living, get stuff on tape, play for that next year,” the person said in the Metro.us report. 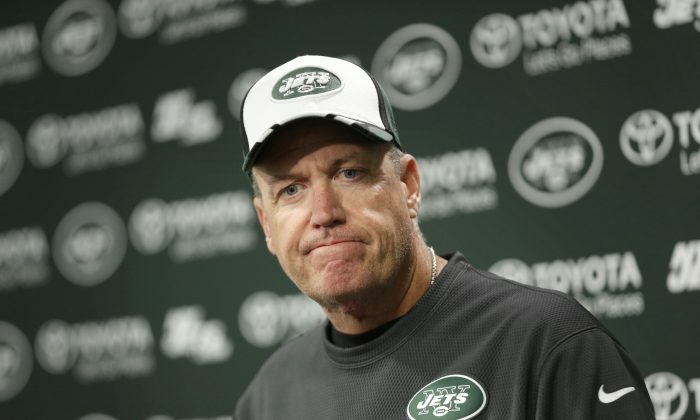 Rex Ryan has previously said that he feels “embarrassed” by the team’s poor record. Jets defensive end Sheldon Richardson said that he is standing by his comments on the situation in Ferguson, Missouri. He said that police officer Darren Wilson “is a pig” for shooting Michael Brown. After a Missouri grand jury decided not to indict Wilson, violent protests ensued in the city last week. “I’m not talking about all cops. 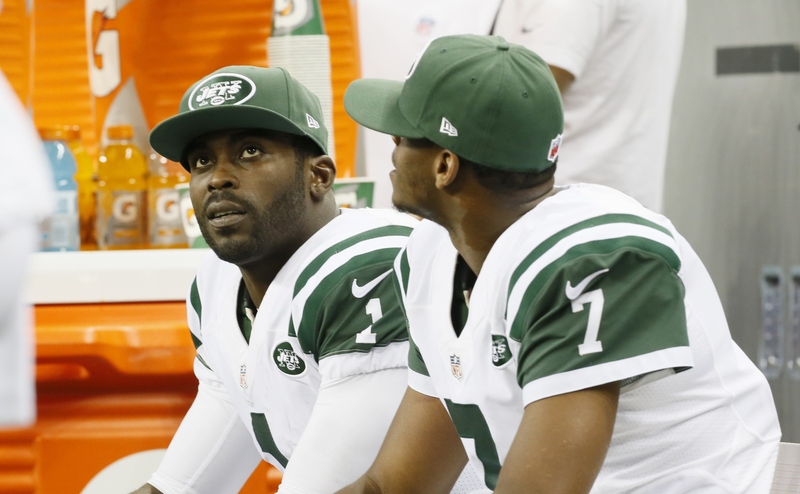 I’m just talking about one in particular,” Richardson also said about Wilson, via the NY Daily News. Richardson was born and raised in St. Louis, which is near Ferguson. “Destroying Ferguson was not what I wanted to come from the verdict of the grand jury,” Richardson said Thursday, via AP. “I actually wanted my whole city to stay intact and I don’t think we’ll bounce back from that. Well, the area of Ferguson, anyway. That’s just how I feel about it. I just want my hometown to stay as peaceful as possible, but I don’t blame them. Jets GM John Idzik is again under fire from fans who want to see him gone. Those who operate FireJohnIdzik.com said that fans can purchase “penalty flag” towels to support his ouster. The site is selling the towels for about $10 a piece. The site says that fans should waive the towels during the final Jets’ home game, which is against the New England Patriots on Dec. 21.